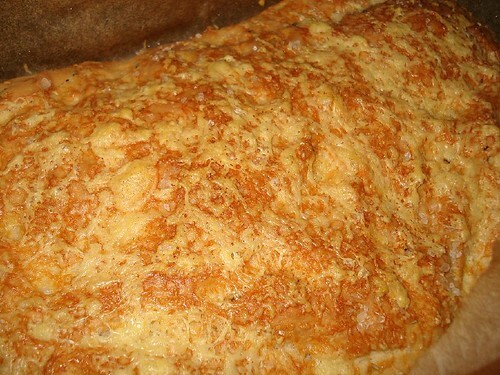 Focaccia bread i like! So far I only had those from Gardenia. Read up some recipes, but somehow, making breads kinda puts me off cos of all the waiting time to proof the dough and all. Haha, didally, you've been busy making cookies, that's why! But I know what you mean about the waiting time. 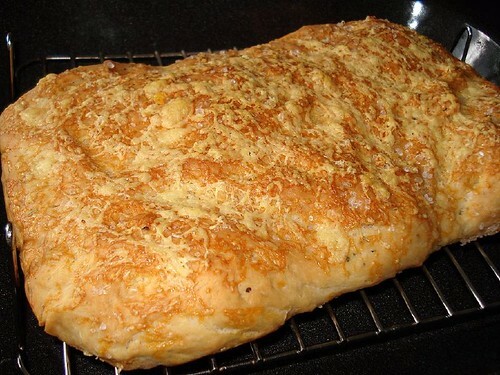 The no-knead bread needs practically 20-26 hours to make! I practically have to plan what things to do during those intervals before I start baking. Luckily the focaccia doesn't take too long, just an hour for dough to rise. Good gravy! You could use that puppy as a trencher. Nice crust.